Buffalo’s extensive harbor and canal system is a testament to the pioneering spirit of a young city. As the western terminus of the Erie Canal was being planned for the region, demand arose for a suitable harbor to connect the new waterway with the Great Lakes. 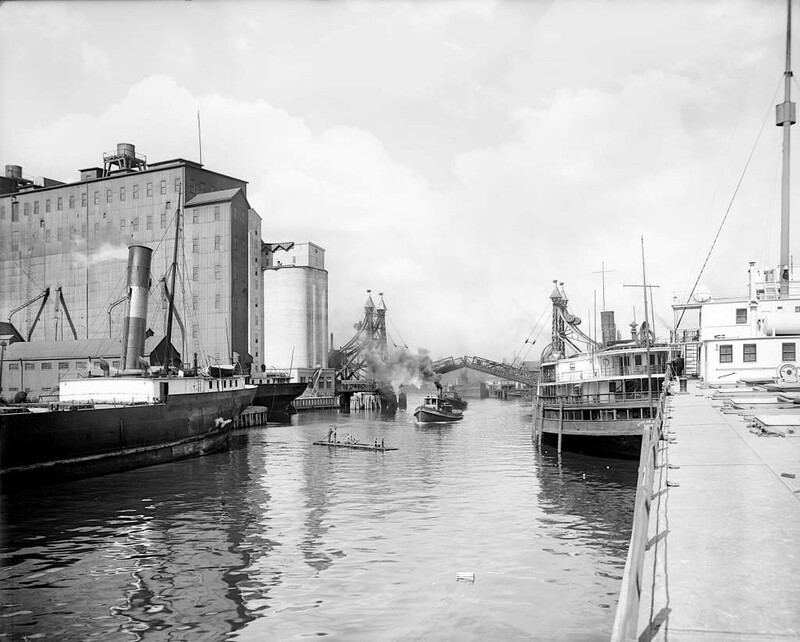 A $12,000 loan from the state enabled local businessmen Samuel Wilkeson, Oliver Forward, and Charles Townsend to begin reshaping the waterfront, transforming Buffalo into a bustling port city.